It goes without saying that investigating the best tennis rackets available is a crucial part of bringing your game to the next level. The tennis racket can either make or break a player's game, depending on the quality of its design and construction, or lack thereof. Head size – The size of the racket head has a direct impact on the power of the shot that is delivered. Generally speaking, a larger head will result in a greater degree of power. The most common head size available is 95-110 square inches, although smaller and larger variations do exist. Smaller heads offer more control and accuracy, whereas larger heads offer a bigger sweet-spot and greater power. Racket length – Rackets are available in lengths that range between 27-29 inches. This represents the legal limit pertaining to tournament conditions. All things being equal, a lengthier racket provides greater reach, additional leverage on serves, and a bit more power across all aspects of the game. The best tennis rackets are engineered and designed to offer the optimal partnership between weight and balance. It is these two factors that affect how the racket feels when you hold it in your hand and swing it to make your shots. The heavier racket is sturdier, transmits less shock and provides more power. The lighter racket offers greater maneuverability, therefore allowing the player to react faster. Balance is another factor. Is the racket head-heavy, head-light, or evenly weighted? Determining which of these configurations is better is a matter or trial and error and personal preference. Frame stiffness directly affects the measure of power with which the ball is struck. The more rigid the frame, the less energy is lost as a result of the bending of the racket and the absorption of the kinetic energy, and more power is therefore transmitted into the struck ball. Frame stiffness also impacts on comfort and control. In general terms it can be stated that a racket that provides more power will compromise in the area of control and accuracy. This will however vary significantly depending on the physique and playing level/ability in question. 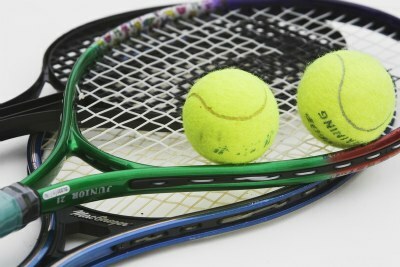 Finally, another factor to consider when choosing between the best tennis rackets is the string pattern. An open, less dense string pattern will deflect to a larger degree when impact is made with the ball, resulting in greater ball rebound. An open pattern also allows for greater spin of the ball. Players who don't utilize a lot of spin and who desire greater accuracy will find denser string patterns more appealing. From "Identifying The Best Tennis Rackets For Yourself" To "How To Play Tennis Efficiently And Become A Better Player"